The cute face of a barking breed. Somebody rang the doorbell? Bark. Food time? Bark. Play time? Bark. 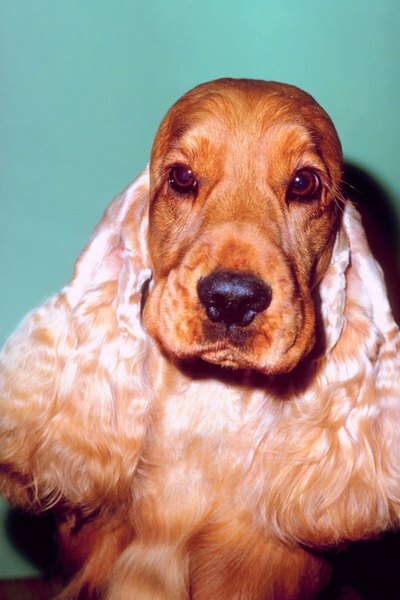 If this sounds like your cocker spaniel, you're not alone. Cockers are notorious barkers. If you're slowly going insane because of it, you might need to start some training to change the "bark response." Take him out for long walks. Just when you think he's tired enough, walk him again. Cocker spaniels are high-energy dogs who get excited about, well, everything. If yours is barking nonstop, it could be that he's trying to burn off excess energy. Help him do that more quietly with lots of running, walking, and even agility training if you can. Be firm with him. When he goes into a barking frenzy, look him in the eyes and say "No!" If he knows how to sit, tell him to sit down and stay quiet for a few seconds to calm him down. If he can't sit down or follow commands, that's where your focus should be. Shop for puzzle and interactive toys. Because cockers are one of the smarter breeds, they get bored easily. A bored cocker will do whatever it takes to entertain himself, and that often means barking at that falling leaf or at the imaginary danger on the other side of the fence. Toys that engage him mentally will help ease any anxiety and boredom and distract him from barking triggers. Take away the fun by covering windows or making your fence taller. Sorry, doggies, but the ASPCA says eliminating visual triggers can eliminate territorial barking. This is when dogs bark at the sight of strangers or other animals coming close to their home. Do not use a shock collar and don't punish your cocker when he barks. Cocker spaniels are very sensitive dogs and all you'll be doing is increasing his anxiety, which means more barking.